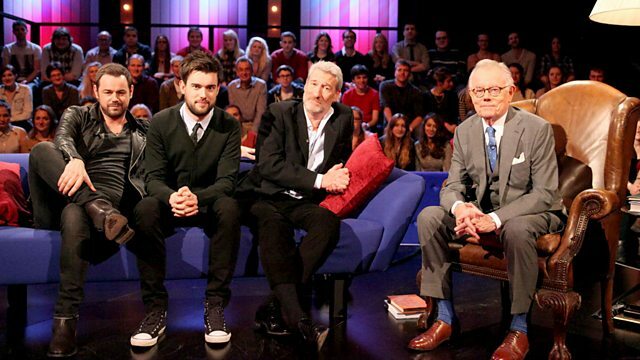 Jack Whitehall hosts a comedy chat show with a twist - he's joined by his real dad. Expect candid conversation, family feuds and must-see moments as an eclectic line-up of guests find themselves stuck between the funniest father and son around. Jack and Michael meet Jeremy Paxman and Danny Dyer. Jack is joined by his father, Michael Whitehall, on his very own chat show.